Win a FREE Ticket to Gamer’s Rhapsody 2016! Live performances of video game music! Panels and workshops on video game art, music, and development! An entire room dedicated to local indie developers! Exhibitors and artists showing off their creations! The mission of Gamer’s Rhapsody is to create a unique experience where games, music, art, and development can be enjoyed, appreciated, and inspire attendees to create something new and awesome. Click here to read our resident video-game soundtrack geek’s recap of the 2015 event. 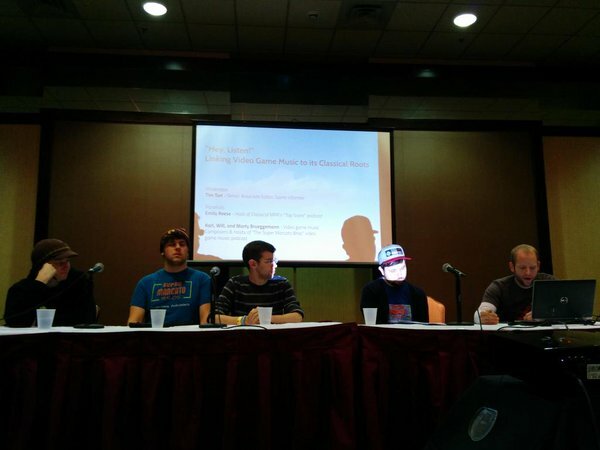 “Hey Listen!” panel discussing the classical roots of video game music at Gamer’s Rhapsody 2014. 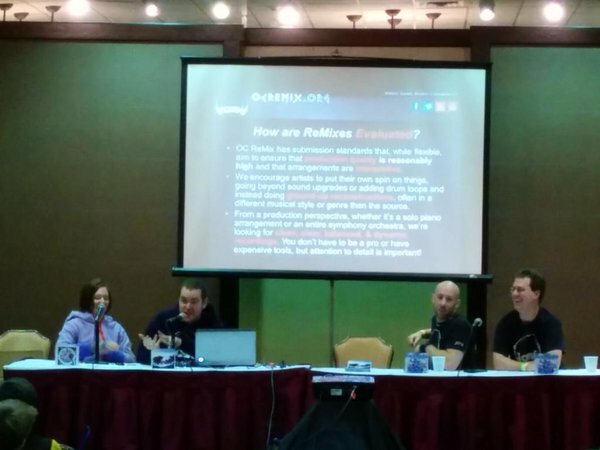 “Overclocked Remix” panel at Gamer’s Rhapsody 2014. 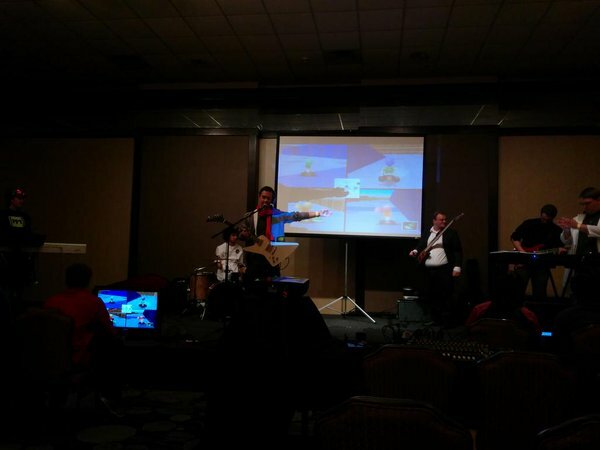 Do a Barrel Roll performs at Gamer’s Rhapsody 2014. This convention is the place you want to be if you are at all into the design, art, and music of video games. It’s a great place to learn about the creative vocations that contribute to your favorite games, network with local indie developers, see what’s going on in the local game development scene, and just meet other gamers who are into the art of games. 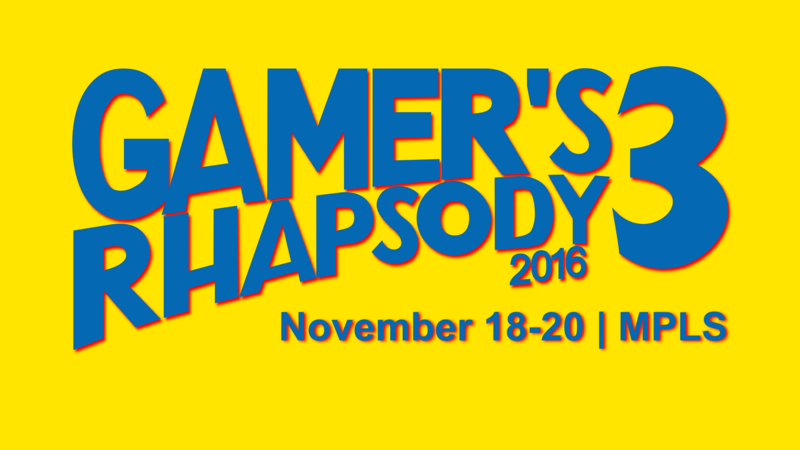 Gamer’s Rhapsody 2016 is November 18–20 at the DoubleTree Park Place. Twin Cities Geek has 7 Gamer’s Rhapsody tickets to give away to seven lucky local gamers! Just like our Facebook page and tell us your favorite childhood video game on the Gamer’s Rhapsody contest post before 11:59 p.m. on Saturday, November 5, 2016 for your chance to win! No purchase necessary. Any expenses incurred as a result of winning this prize, including taxes, are the sole responsibility of the winner. Total number of prizes to be given away is seven (7), each consisting of a code redeemable for one (1) general-admission ticket (retail value $37.00). How to Enter: Like the Twin Cities Geek fan page on Facebook (https://www.facebook.com/TwinCitiesGeek) and comment on the Gamer’s Rhapsody giveaway post with the name of your favorite childhood video game. Only one entry per Facebook account per day will be counted. By commenting, you give Twin Cities Geek permission to announce your full name as shown by your Facebook account on our Facebook page if you are chosen as a winner. Selection and Notification of Winner: Each eligible comment will be assigned a number in ascending order based on chronological order. A number will then be chosen by means of a random number generator, and the user corresponding to that number will be deemed the winner. Odds of winning are dependent on the number of entries received. Eligibility: Giveaway is open only to legal residents of Minnesota who are 18 years of age or older at time of entry. Void where prohibited by law. In order for an entry to be counted, a Facebook user must comment on the relevant post by 11:59 p.m. Central time on November 5, 2016. Current Twin Cities Geek contributors and editors are not eligible for entry.